My life is not very exciting at the moment. I mean, not by social butterfly standards. Like, I get excited if the builders next door take a day off. Or if the baby poops (she can sometimes go a few days between and that can make me nervous haha). Or if I get to fit in 15 minutes on the treadmill. I am at that point where an exciting weekend night means staying up past 9pm to finish off watching a movie! Notice that I said ‘finish off’. As in, the movie is still going to get started early, because I am not a wild animal, OK? Netflix and all of the TV catch up apps are very important in my life at the moment!! Oh, honey – yaaaaass! Let me take a mome to share with you the love I have for the rebooted version of the 90s series Queer Eye for the Straight Guy. I’ll admit that I was concerned that it might not hold up. I mean, you’d have to be pretty amazing to match the likes of Carson Cressley, am I right? I didn’t want it to be a try-hard caricature of the original. Well. I have devoured seasons 1 and 2 and I am mad they are still filming season 3 because WHERE IS IT, ALREADY? I have fallen in love with all of the new fab five. They have their new addictive catch phrases (let’s face it, hair and skin guy Jonathan does the heavy lifting in that department) and I honestly cannot get over the emotional feel good moments in every episode! Whereas the original series was focused on making over/improving the lives of straight guys, this series is about all people who need a little help. They have shone the light on a mother of a gay man who wants him to feel safe in their small home town church. They highlight the experiences of trans people. They help a guy to propose. They fundraise to help a fire station. It’s just wonderful. If you follow them on social media, you always see their supportive comments on each others’ posts and they have done little YouTube episodes of an Aussie town called Yass, and a hilarious Nailed It crossover. Basically, Kristen Bell plays a teenaged private detective (she works for her dad’s company). This show originally aired between 2004 and 2007 and at the time it acquired quite the cult following. I had never understood the hype and was probably busy being a young adult just finding her feet in the world (and planning a wedding – WHAT), so I missed it. I was struggling to find something awesome to watch, when this popped up on Stan and I decided it was time. I did not regret it! It’s a show with a strong female lead, interesting characters, humour and just enough darkness. All the things I like! I was transported back to that time (the fashion – OMG) and it was the most wonderful escape when the baby was quite little and I was stir crazy. This Netflix movie stars Andy DeVine (you might know him best from Pitch Perfect) and it’s about a guy who somehow magically has an opportunity to go back in time and repeatedly keep trying to fix a lost opportunity to get together with a girl he met at a Halloween party. It sounds cheesy and super predictable (like the formula has been done before) but I really loved this one. The second, third and subsequent chances he had to make the girl fall in love with him weren’t played out so much that they were boring and my husband who I had forced to watch it with me (haha) was even looking at me with gooey eyes by the end of it because he was thinking about our early days together. So that’s a bonus haha. 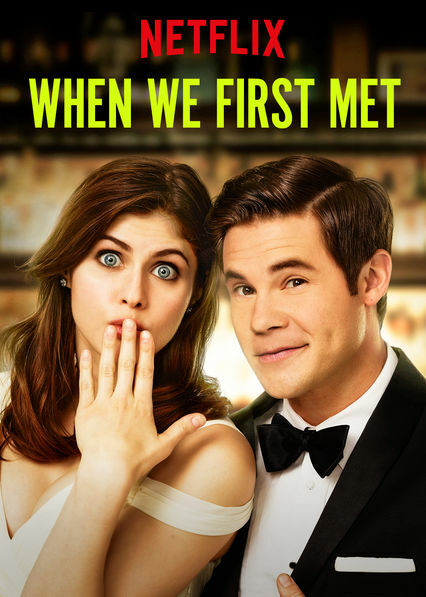 DeVine’s facial expressions are hilarious (if you’re into that) and it’s a nice, light romantic comedy. As in, it’s not too mentally exhausting, but it’s got a good enough pace to it that you don’t fall asleep. I am speaking for the parents of babies as I review this haha. This show aired on the ABC and was available on iView. Hosted by Annabel Crabb, it follows an Aussie family (mum, dad, two teenagers and a primary schooler) as they had to relive past decades. Their house was kitted out differently each time, they dressed in the era’s fashion, had to immerse themselves in the cultural practices of that time, and eat the same foods that were popular. 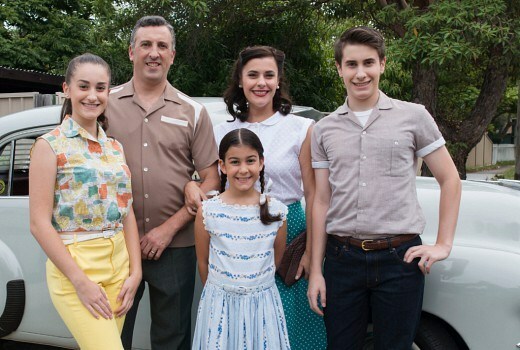 It was fascinating and I learned a lot of things about what it was like in Australia from the 1950s up until now (the final episode even delved into the future). If you can get through the sexism and problems with gender equality up until very recently, without throwing stuff at the TV then this show is for you haha. In all seriousness, it was a great watch and we viewed it as a family. The Little Mister learned a lot, which was cool. 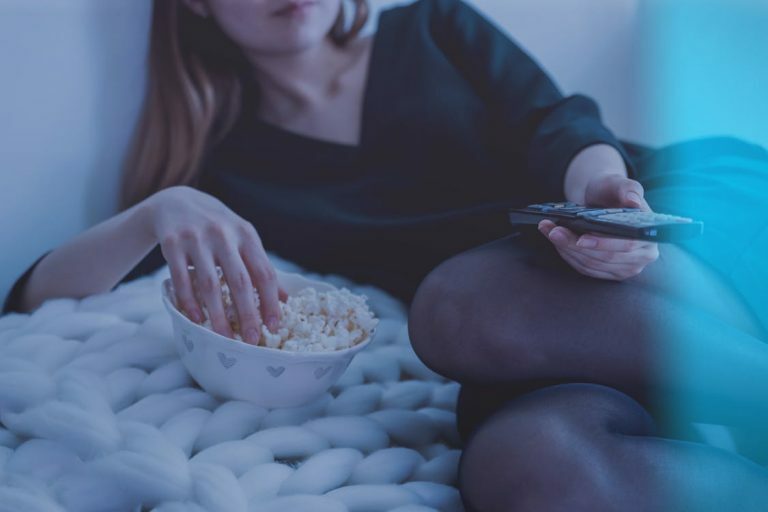 It can be rare to find a TV show we can all enjoy together without the adults rolling their eyes or there being too many adult references for a 6 year old. 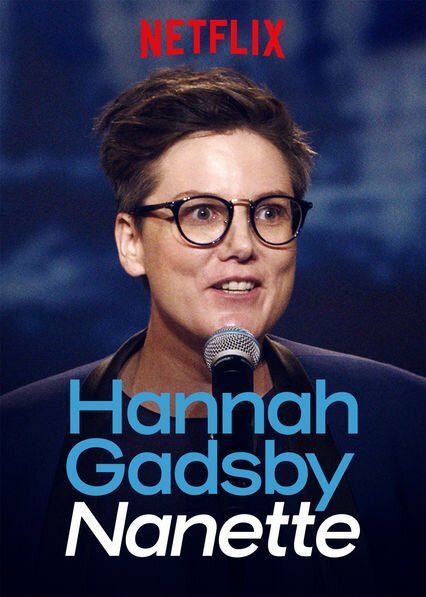 I probably don’t need to say much about this Netflix special from Hannah Gadsby. There have been so many well worded positive reviews about it. All I can say is that when I watched it, I was blown away. BLOWN AWAY. I couldn’t get it out of my head. Her performance was amazing. She said everything she needed to say, with such emotion and conviction, and still managed to make me laugh. She turned sexism, homophobia, the concept of comedy and even art history on its head and I was left crying by the end of it. I am still in awe of it. Of her. I could not be happier for her that this special has become so successful internationally. You might think you’ve never connected with her as a comedian up until now and be tempted to skip it, but don’t. DON’T. This is a side of her you’ll wish she’d shown us a long time ago. I even asked my husband to watch this with me and he was moved by it too. We had a really great conversation afterwards. This show is based on the Archie comics. Remember those? I never knew there was a bit of a comic book nerd inside of me until this show came about! I knew much more about the original characters of Betty, Jughead, Archie, Veronica and co than I realised! It’s funny what information my brain retains over the years! Of course, Riverdale is a very dark, broody, adaptation. I love the casting. They nailed it, I reckon. Only thing I can’t get my head around is Archie’s bad red hair dye job, as the actor is not naturally red headed! There are mysteries and skeletons in the closets of a lot of the characters of Riverdale, combined with teen angst. I really enjoyed the second season in particular as it followed a serial killer whodunnit arc (I hear the 3rd season will have a very different feel again).